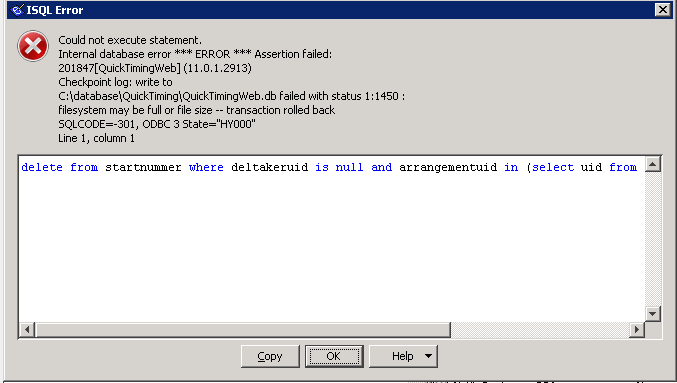 I get the following error on my database. Is this a sybase error or is this from windows? Looks like a NTFS Sparse file problem. Will update question if i find a soulution so othres with the same problem can see how i solved it. Check your Windows System Event Logs for more information - there is likely something wrong with the file system you are currently using.